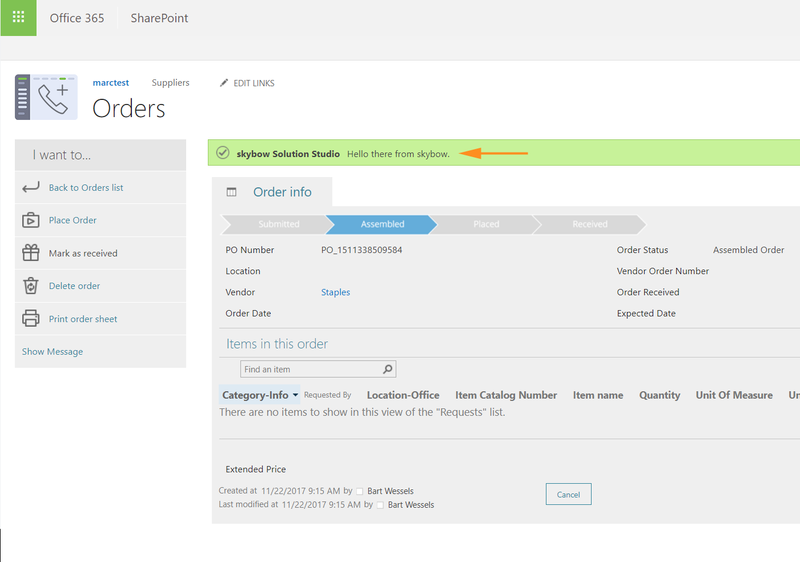 Advent Calendar Door 17: Displaying dialogs and messages in SharePoint. One of the basics of user interaction is displaying dialogs and messages. 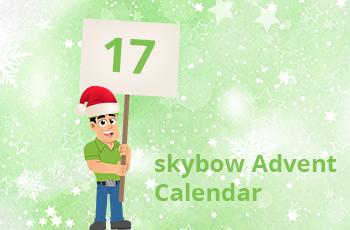 In today’s skybow Advent Calendar cookie, we will show how simple is this to achieve with skybow Solution Studio, skybow Action Links or skybow Rich Forms. 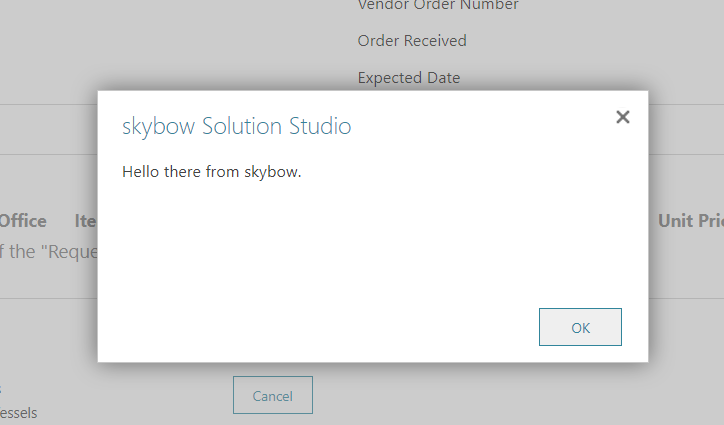 You can create a “Show message” action, either in Action Links component in skybow Solution Studio or in separate skybow Action Links Add-In, or as a button action in skybow Solution Studio or skybow Rich Forms. “Show message” action behaves the same way in all our products. 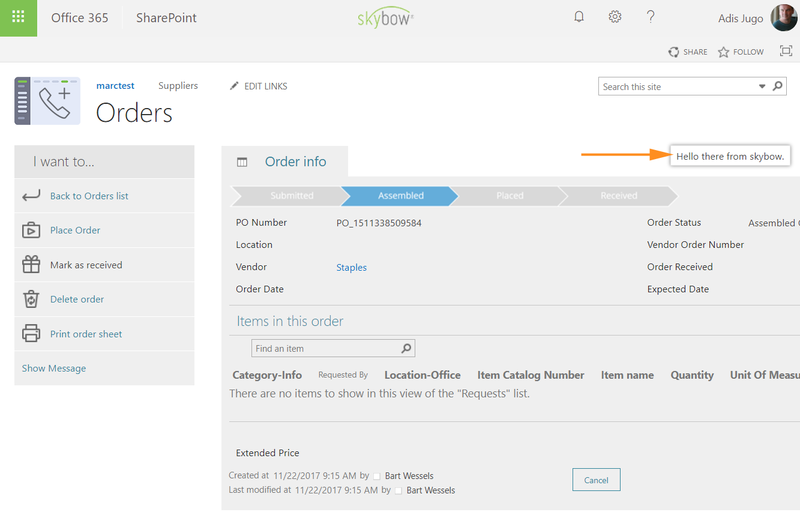 In the screenshot below, an Show Message action has been created in Action Links component in skybow Solution Studio. You will need to enter the text which is going to be displayed: note that this text can be “calculated” with skybow Expression Language, so that messages can be dynamic, contextual and user specific. 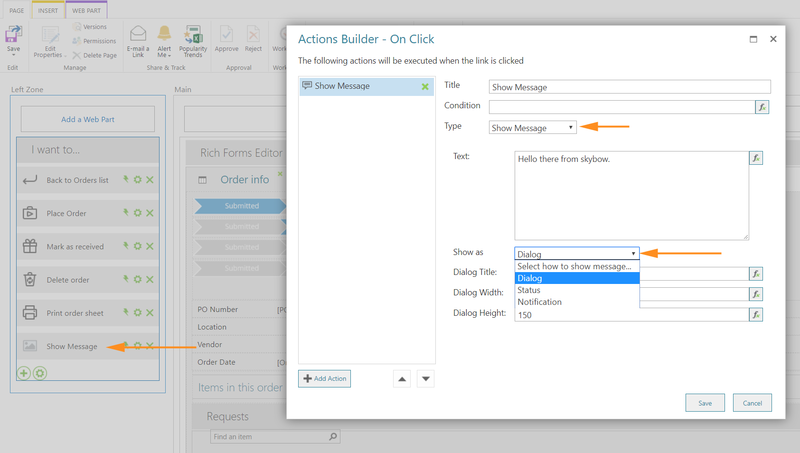 You will then need to choose one of the three supported message types - Dialog, Notification or Status. Note that messages of “Status” type can be displayed as Information, Success, Warning or Error, which differ mainly in color. For Status and Notification messages, you will also to have define for how many seconds the message will be shown. On the end, here is the same “Hello there from skybow” message displayed as Status message of the type “Success”.